Sirs: Whereas cardiovascular dysfunction occurs in up to 60% of Guillain-Barré syndrome (GBS) patients [1, 2], pelvic organ dysfunction is less common (bladder, 25% ; bowel, 15% [4, 5]). 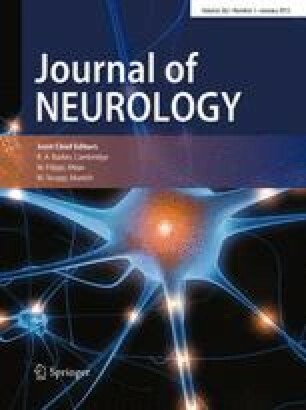 According to subtypes of GBS, heart rate and plasma noradrenaline concentration were elevated in classical GBS [acute inflammatory demyelinating polyneuropathy (AIDP)] (n=7) (overactivity) but not in axonal GBS [acute motor axonal neuropathy (AMAN)] (n=8) , whereas bladder dysfunction was noted in 21% of AIDP (n=24) but in 50% of AMAN (n=4) (mostly underactivity) , presumably reflecting autonomic organ vulnerability among these variants. We recently had a case of AMAN presenting with bowel, bladder, and erectile dysfunction that has rarely been reported in this variant.